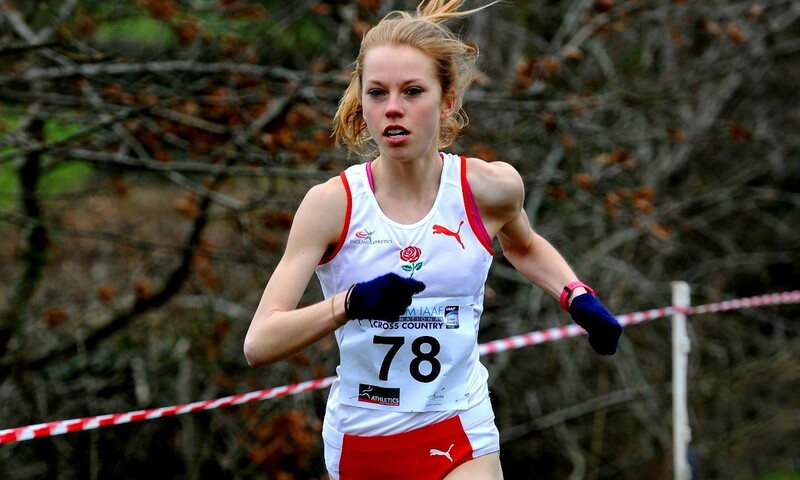 Jenny Nesbitt shot to prominence when she beat Paula Radcliffe in last year’s Worcester City 10km. Here, the 20-year-old tells Ruth Jones about her experiences and challenges. It was a massive heart-breaker to miss out on selection for the European Under-23 Championships in Tallinn this year. I’d achieved the qualifying times at a Watford BMC race and the national 10,000m championships at Highgate and also placed in the top three in each of the respective trial races. I feel like I have missed out on a valuable experience, but I am a great believer that all things happen for a reason. I’m used to overcoming adversity. Two years ago I was diagnosed with Henoch–Schönlein Purpura, an auto- immune disease, which meant I was in and out of hospital for the whole of 2013. I was unable to train or compete at all. It made me all the more determined to get back. Beating Paula Radcliffe in last year’s Worcester City 10km was one of the highlights of my athletics career so far. I never imagined competing in the same race as such a legend, let alone beating her. It meant such a lot, especially as I’d recovered from illness to run a PB of 34:21. I dread doing hills. I can’t move off the sofa for the rest of the day when they are done. My favourite session is anything that involves long reps. I love long reps in the woods with a short recovery, or 1kms reps on the track. I try hard to live more in the moment. I’m guilty of rushing all over the place, of wishing for the next exciting thing in training, racing or life. It’s easy to think too far ahead and and miss all the small happenings that are going on. Soreen malt loaf is my life saver. I cannot go without it before and after racing. I also have a bowl of porridge with jam or honey before a race and usually finish with a bowl of granola, Greek yogurt and fresh fruit after I’ve run. I owe a lot to my coach, Dave Walker. He is amazingly supportive and comes to just about every single one of my sessions, whatever the time and wherever it is being held. I can put all my trust into Dave, and I believe that what he is doing will help me to develop into the best athlete I can be. My sessions are often solitary affairs. Sometimes I’ll join in with male clubmates on runs if it fits in with my training. But I train on my own a lot of the time. Winning my first senior race at this year’s Milton Keynes cross challenge was a dream – as was wearing the England vest twice over the winter. I feel like I represented my country well. Silence is good. I like to focus on my breathing and recovery during track and speed sessions so never listen to music. However, I am usually plugged into my headphones before a race. I have no particular preference, just anything that is upbeat and funky. In the next year I would really like to achieve my first GB vest. After the disappointment of the summer, I am even more determined to make it happen. I love athletics, but there are other things in my life. It can’t be all-consuming. I represented Worcestershire at lacrosse and I play netball, hockey and rounders. I’m studying for a sport and social science degree at the University of Bath and I work as a personal trainer when I have the time. Monday – AM – 30min easy + 6 x 100m strides. PM – weights session working on improving upper-body strength and maximising leg strength. Session includes 3 sets of 8 reps on each of the following: squat, hack lift, curls, straight arm pull overs, bench press, bent-over row, leg curl. I try to focus on working on technique and making sure I complete each exercise as well as possible as I begin to tire. Tuesday – AM – 20min easy. PM – track session, which may be something like 15 x 400m with 200m jog in 60sec recovery aiming to complete each 400m in 76/77sec. Before the session I will complete drills and exercises. Wednesday – AM – 40min steady + 6 x 100m strides. PM – strength and conditioning sessions (including core work). These sessions involve working with the medicine ball completing squats, lunges, throws etc. Also using a theraband to complete exercises such as hip extensions, leg circles, hamstring extensions, pull outs etc. I include a circuit session, which usually involves three sets (1min on 15sec off) of squats, press-ups, crunch, lunge, sit up, spiderman press up, arm/leg cycle, tricep dips, twist crunch, burpees and plank. Thursday – PM – track session, such as 4 x (800, 400, 300) with 1min between the reps and a 400m jog between the sets. I would aim to focus on increasing the pace after the 800m, and then going as hard as I can on the 300s. Saturday – AM – an off-road session, which may be 8 x 300m hill reps or 4 x 2.2km laps of the woods over undulating ground with 1min recovery. If I am racing then I won’t complete these sessions. Sunday – AM – long run between 60-75 minutes at a steady pace, followed by 6 x 100m acceleration runs. PM – strength and conditioning session like Wednesday.